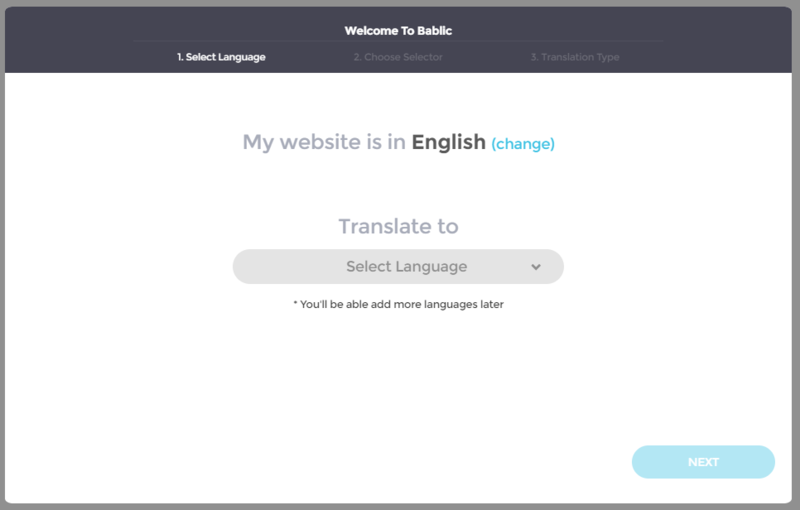 1 - Bablic will detect the language of your site. Make sure the language is correct. If it's not please change the original language to match the language in your site. 2 - Choose the language you want to add to your site and click on the "Next" button. Do not worry, you will be able to add more languages later on. Simply click on the language selector you want to add to your pages. Your visitors will be able to switch languages by clicking on this menu. Don't worry, you will be able to fully customize the widget later on. Click "Next" when done. 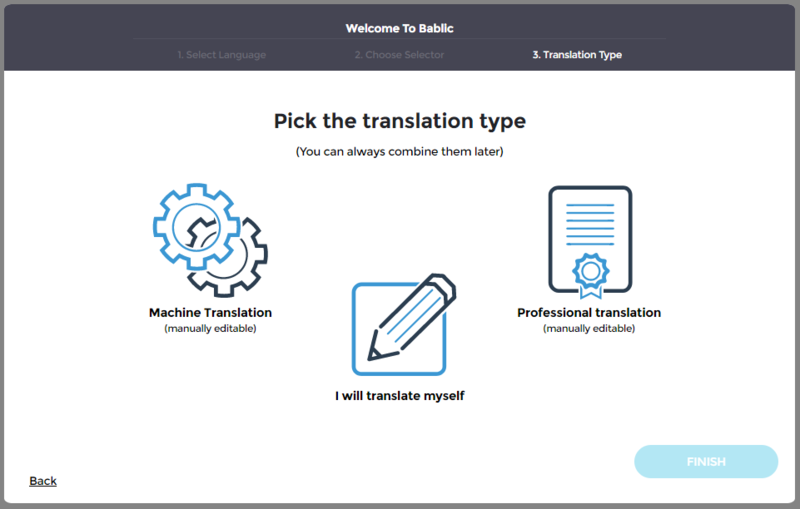 You can start translating from scratch, or ask Bablic to translate for you, either using Machine or Professional translation. Later on, you will be able to edit or fine-tune any translation manually using Bablic's user-friendly Visual Editor. Click on "Finish" when done. 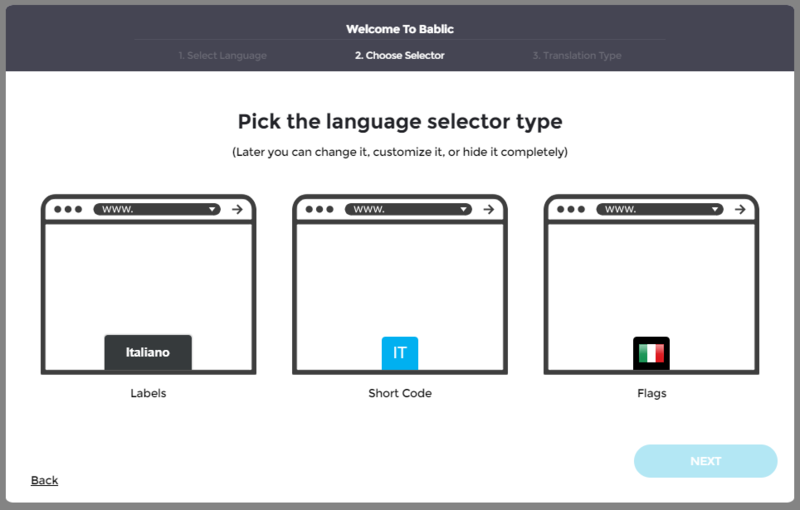 The Bablic Visual Editor will open and you will see your website translated in the language you chose. Now you can start editing the translation by right-clicking on any element in the page.